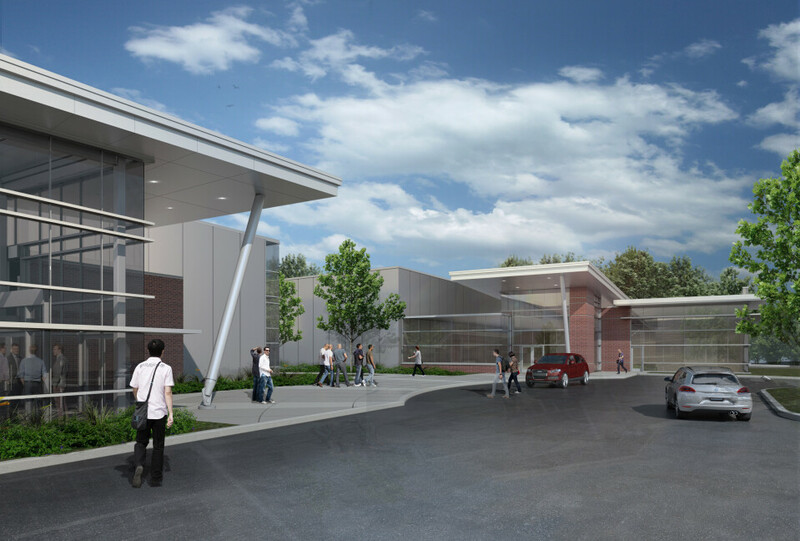 Lancaster, PA - On November 16, support Thaddeus Stevens College of Technology & Foundation in this year’s ExtraORDINARY Give, Lancaster County's Largest Day of Giving. For the past five years, in just 120 hours, the Extraordinary Give has raised $22.5 million for more than 500 organizations. Give Extra & Join in the Fun with Thaddeus Stevens! For 24 hours only, your donation at ExtraGive.org will be stretched by a pool of more than a half-million dollars. 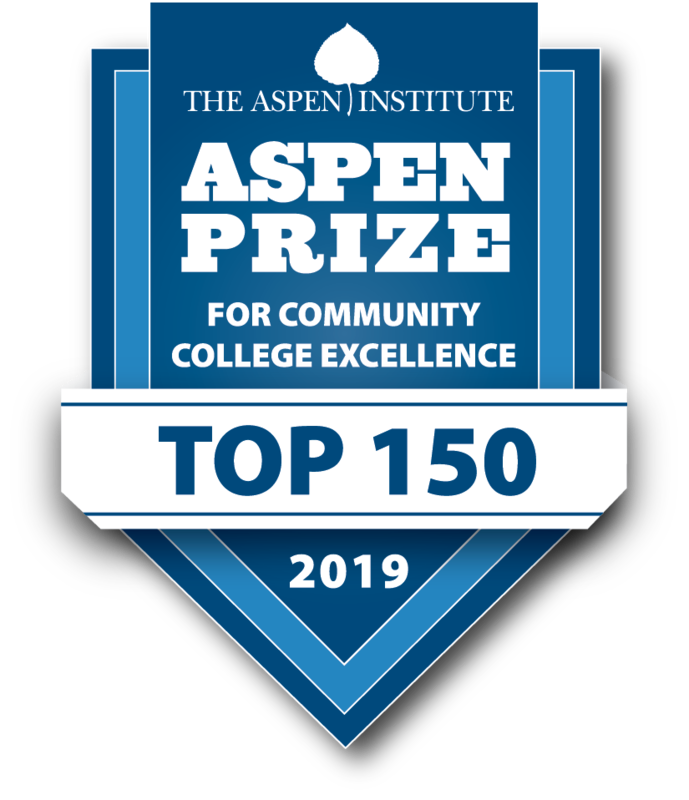 That means your gift goes farther, reach higher, and does more to provide students fun STEM learning experiences, tools for economically disadvantaged Stevens College students, and lab materials and equipment. This year is primed to be the biggest ExtraGive yet, but it'll only happen if you're part of the action! All donations to Thaddeus Stevens College Foundation, up to a total of $25,000 will be matched dollar-for-dollar by GSM Industrial and the Gooding Group Foundation. 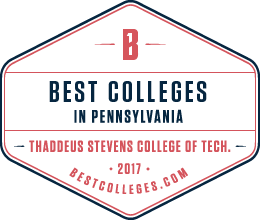 Thaddeus Stevens College of Technology educates students for jobs in 23 high-demand, skilled associate degree majors from advanced manufacturing and computer fields to construction trades and printing technology. Graduates strengthen area companies, start businesses, mentor children, and become community leaders. 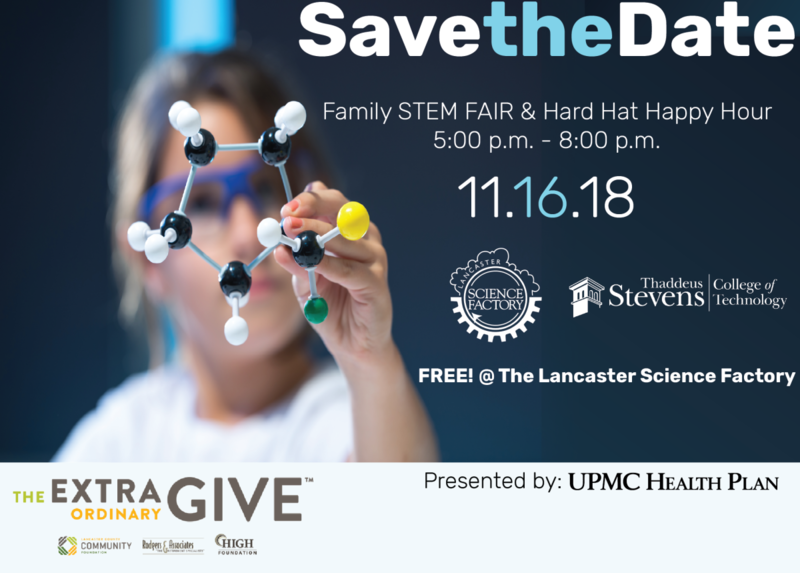 This year, Thaddeus Stevens College is partnering with the Lancaster Science Factory for a FREE Night of STEM & EXTRAORDINARY FUN. 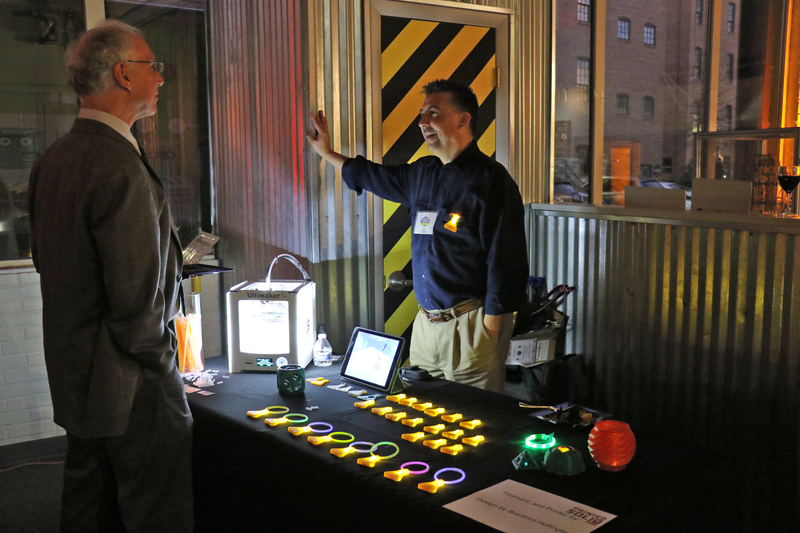 The Lancaster Science Factory will offer FREE ADMISSION from 5pm-8pm. Bring your credit card for the #ExtraGive stations while kids, K-8th grade can enjoy Baxter, a lovable robot that will meet and greet you, and tons of other activities. 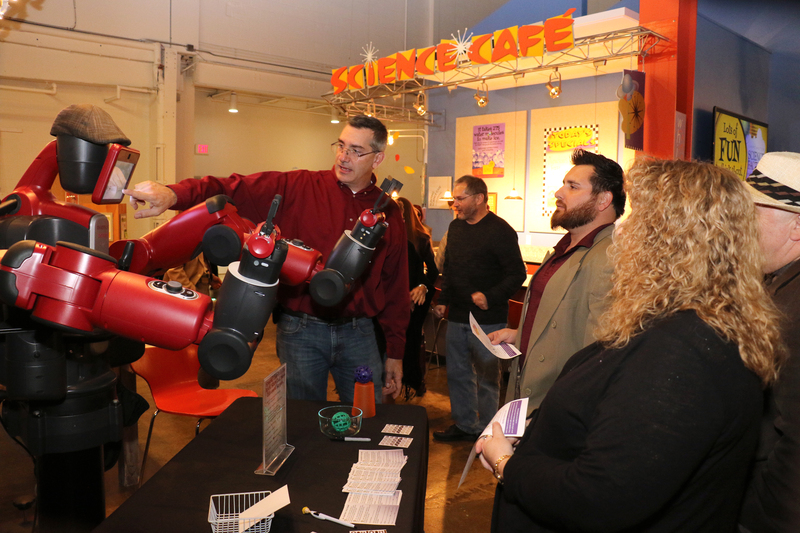 Baxter, our lovable robot, will meet and greet you. Cast your own metal figurine. Help screen print a T-shirt. Watch a 3-D printer and build with blocks. Decorate a hard hat to wear. Check out the Science Factory’s favorite science experiments. 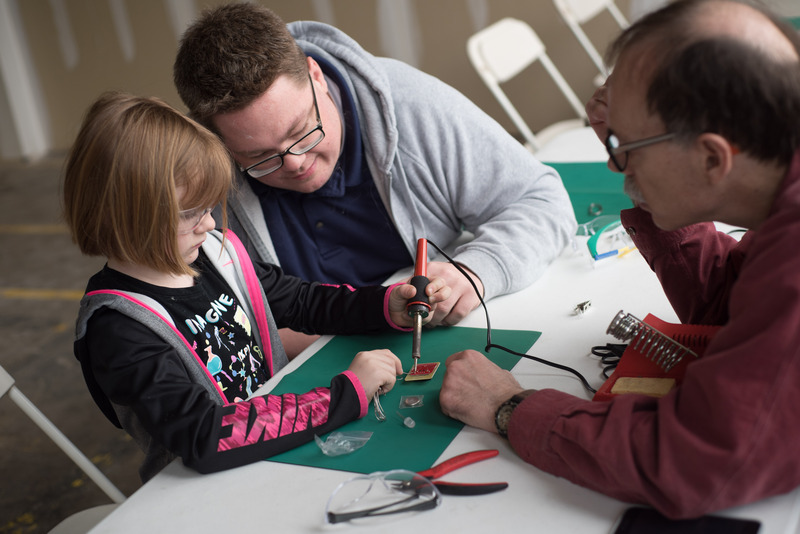 Tons of Lancaster Science Factory hands-on activities! 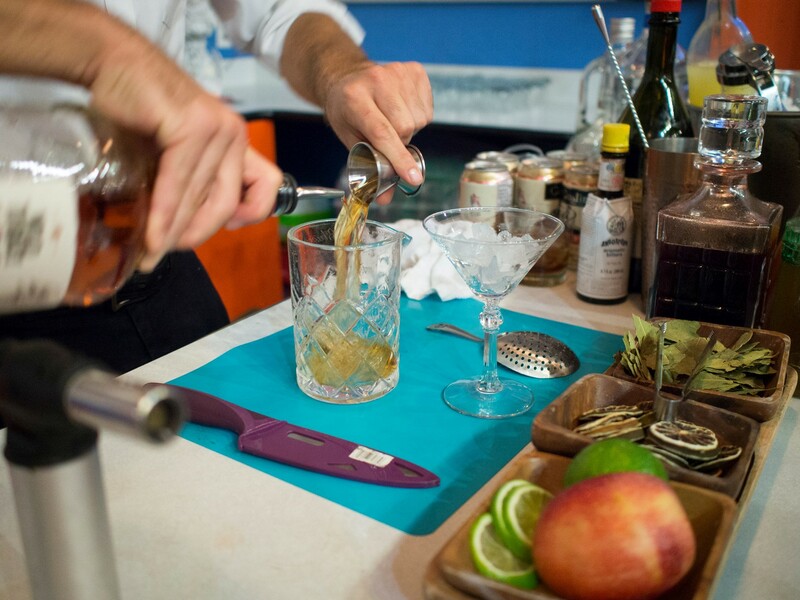 Come raise a glass, give extra to Thaddeus Stevens and the Science Factory, and have fun! 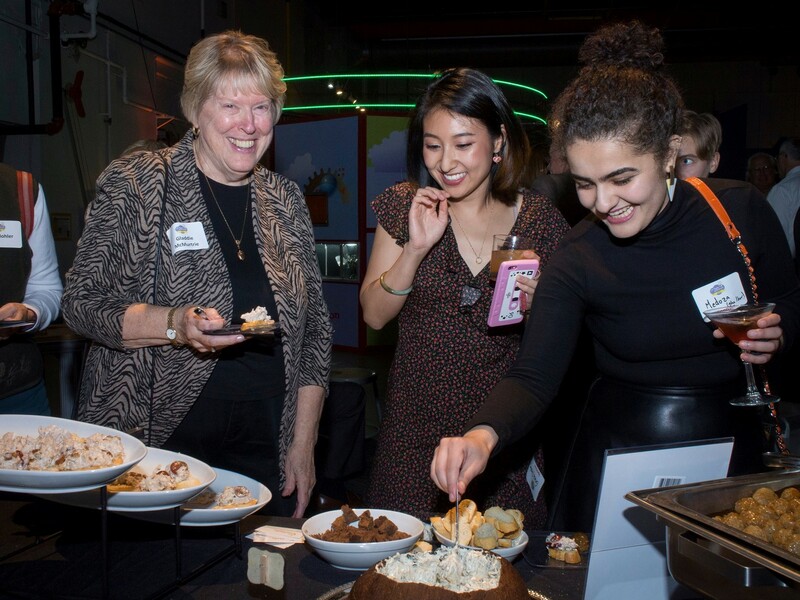 Adult partygoers may enter the speakeasy (ID required) and Enjoy yummy hors d’oeuvres as you chat with friends, old and new. Have Baxter the Robot pour your wine. Beer and soda are also available. Bring your credit card, and use the ExtraGive Day donation kiosks. Please Note: You must be age 21 or older to access the speakeasy. 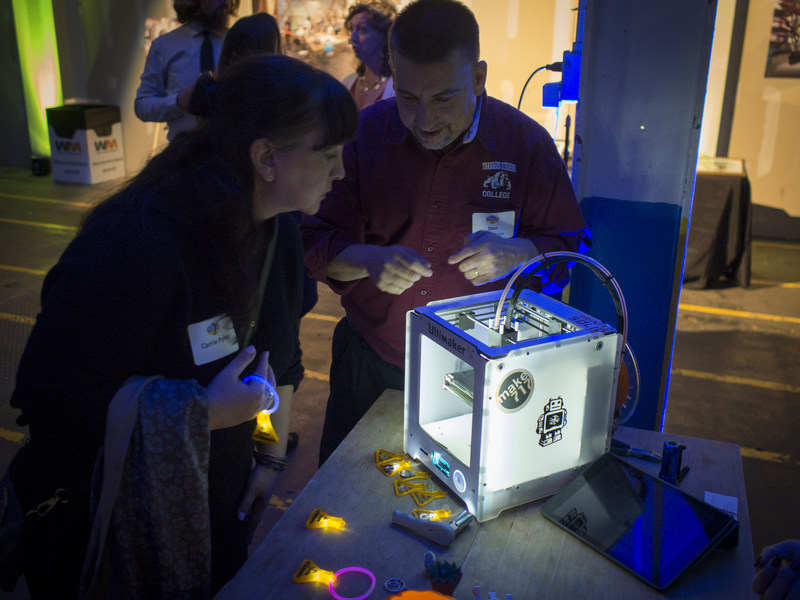 Register Now for the Adults only STEM Happy Hour! Free Food & Libations.